In this ongoing guitar workshop series, we'll break down two songs each month. On the first Wednesday of the month we'll explore right-hand rhythm technique, bass runs, signature licks and the relative major or minor scale for each of the songs. We'll review on the third Wednesday of the month, then there will be an opportunity to play through the songs and take a crack at soloing for those who want to try. No pressure. The songs we study in Beyond Strumming will be on the Acoustic Slow Jam song list the following month so you can put your new skills to work right away. Q: What songs will be covered? Greg's website (www.GregNewlon.com) will list the songs for each month. We'll respond to RSVP emails with YouTube links so you can listen to the songs if you're not familiar with them. As an example, the November songs are Hickory Wind and Friend of the Devil. Q: Can I attend one session? Yes, you can attend just the first session for $20, but you'll get more out of it when you attend both. No, yuo may not come to the second session if you missed the first. 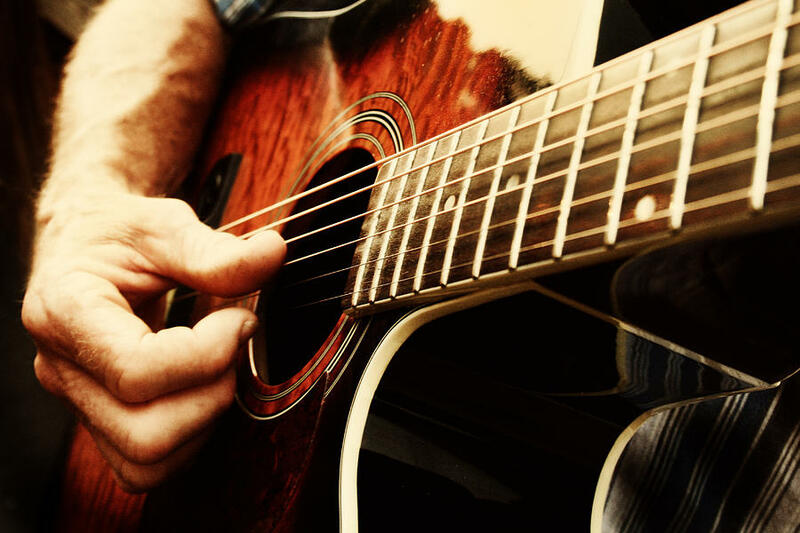 Save $10 when you buy a $60 monthly pass to both Acoustic Slow Jam and Beyond Strumming. Available only at the first session of Beyond Strumming for each month.